Alex is one of just two Americans called "Grand Master" when it comes to Tetris. Most of us went to college to get good at something. For Alex Kerr, the path to a computer science degree brought along something extra: Grand Master status at a beloved video game. 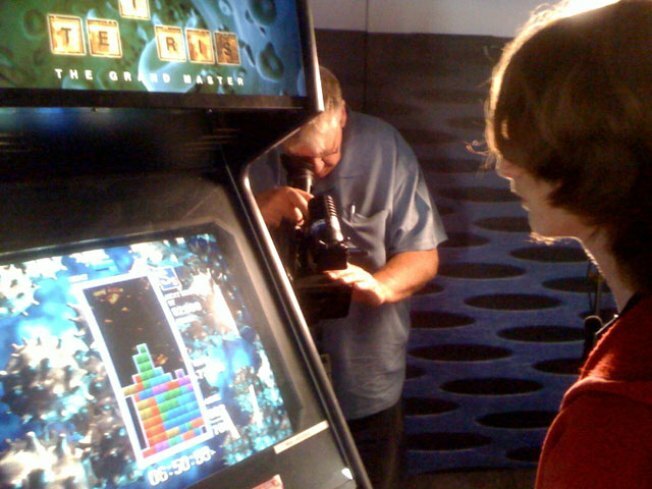 Alex is one of just two Americans called "Grand Master" when it comes to Tetris. He's the guy who makes sure that (with apologies to Thom Yorke) everything is in its right place. Cutting his teeth in the San Jose State University arcade, Alex got better and better, and he's now about to test his mettle against the world's best. The Tetris World Championships happen this weekend in Los Angeles. The game was created in 1984 by a man named (fittingly) Alexey, from the Soviet Union. The name -- as devotees probably know -- comes from the Greek numerical prefix, "tetra." The rest is computer and time-wasting history. This is a game that instantly brings people back in time, remembering how they spent countless hours moving pieces into place. IGN called it the second-greatest video game of all time. It has sold something in the neighborhood of 70 million copies -- 100 million more on cell phones. If you're interested, the Tetris Championships are open to the public. THE Alexey will be among those (virtually) cheering Alex and the others on. Who knows? Maybe San Jose State's arcade will have a trophy to show off soon, and a cerain computer scientist will have something to brag about, besides a college degree.